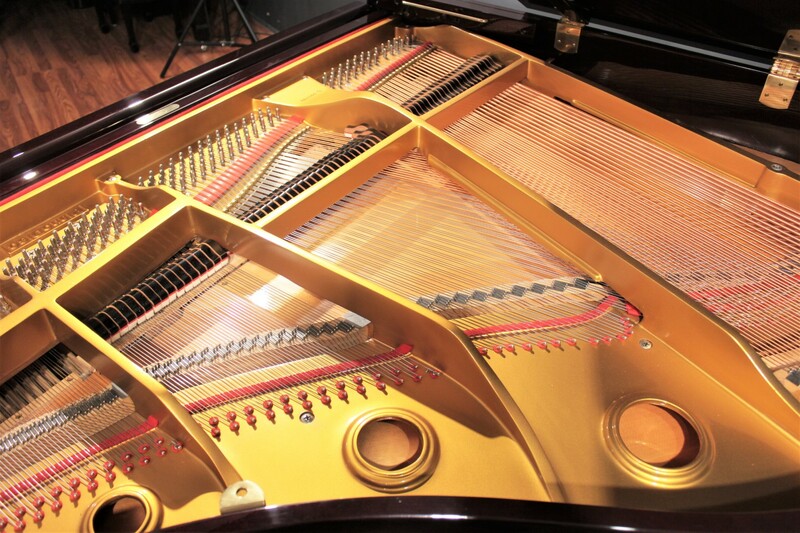 Built in 1995, a beautiful space-saving baby grand! Rare dark mahogany finish. Plays itself with included PianoDisc player piano system. 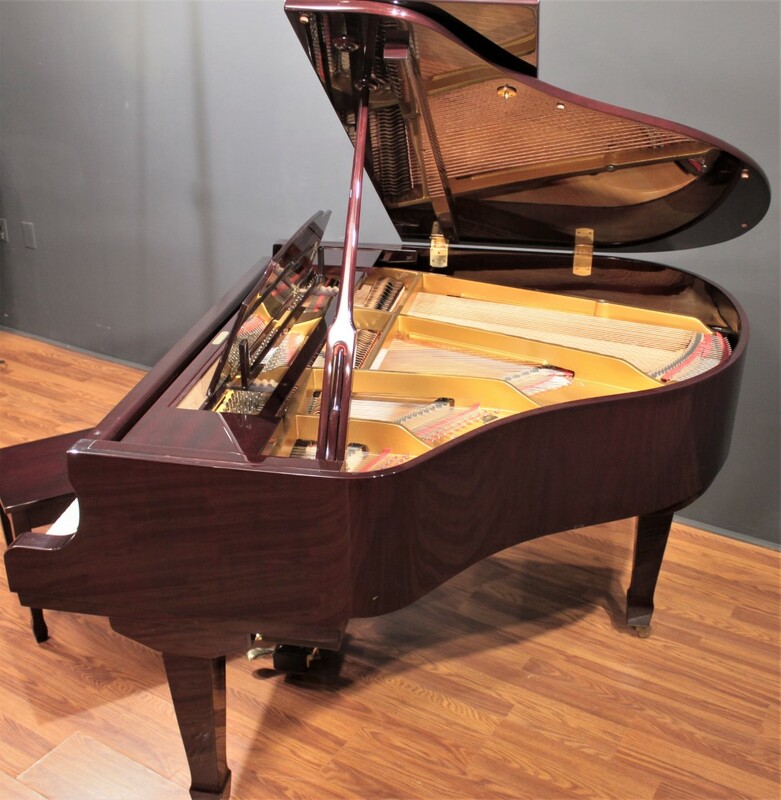 This beautiful PianoDisc baby grand piano was manufactured by Young Chang in the mid-1990s and is ready for delivery to your home! 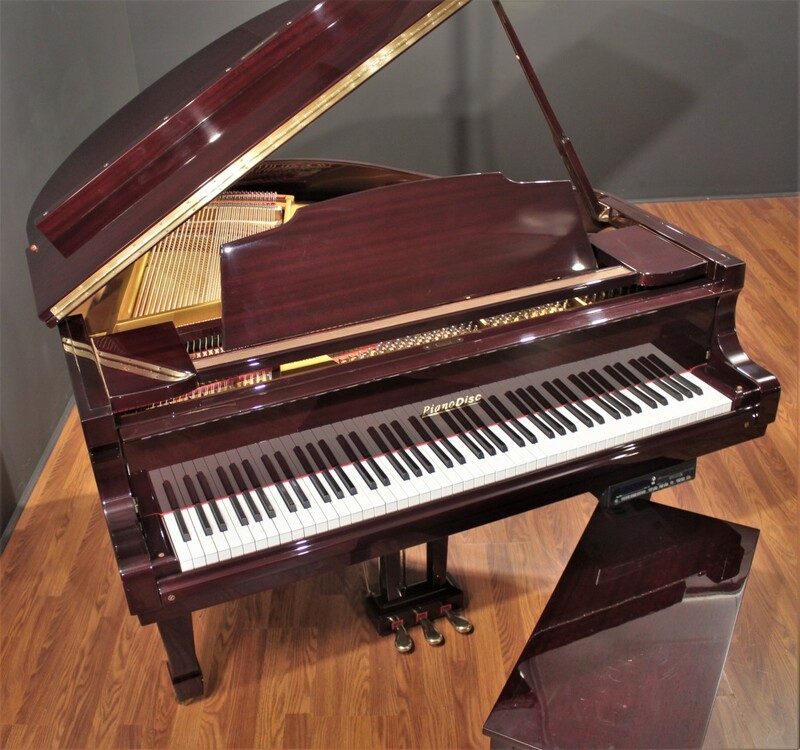 It is a lovely instrument that has been privately owned and will make a great addition to your home, especially with the added entertainment capabilities of the factory-installed PianoDisc player system. 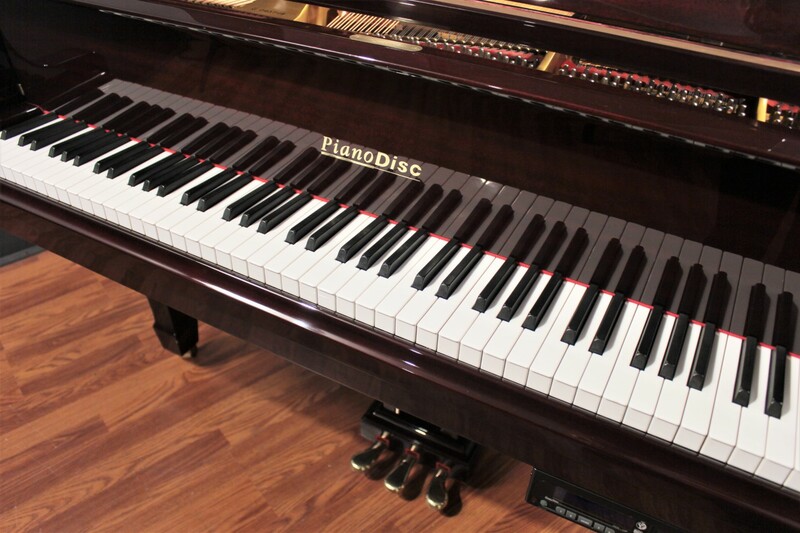 Asian pianos feature high-polished ebony finishes almost exclusively - it's extremely rare that we come across one in this attractive Polished Dark Mahogany finish. It's a great choice for more classic interiors and rooms where a polished black piano would be inappropriate. 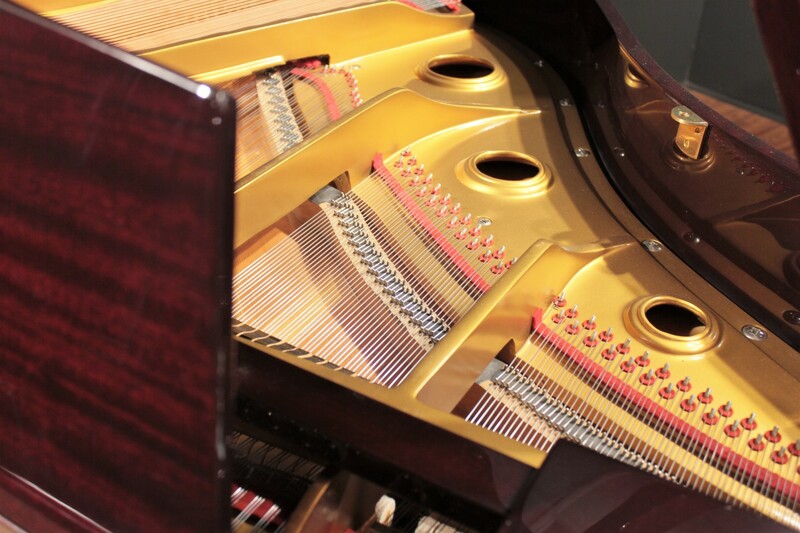 It's a fantastic musical instrument in a package that is very aesthetically appealing. A well known brand with a quality pedigree. 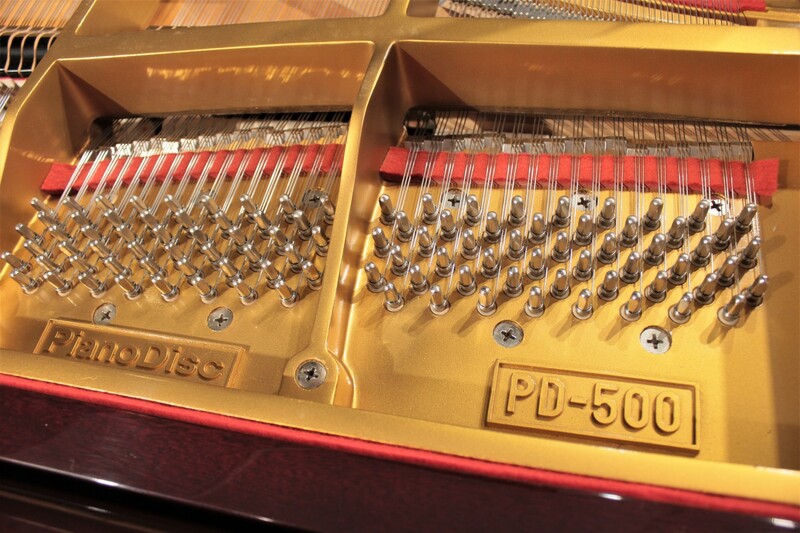 PianoDisc-branded pianos were built in South Korea by Young Chang, one of the world's largest and most respected piano manufacturers, specifically to showcase the capabilities of PianoDisc player technology. 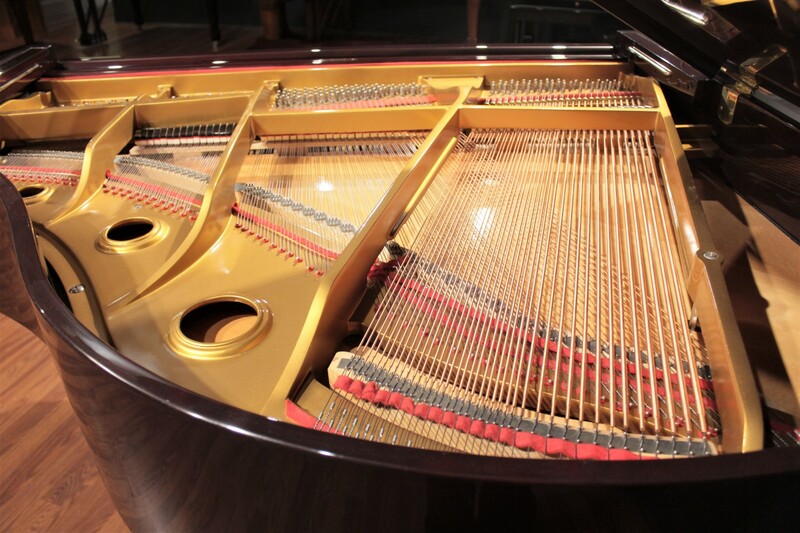 Over the last 30 years, Young Chang's Korean facility has established itself as a maker of high quality pianos which have stood the test of time amazingly well. 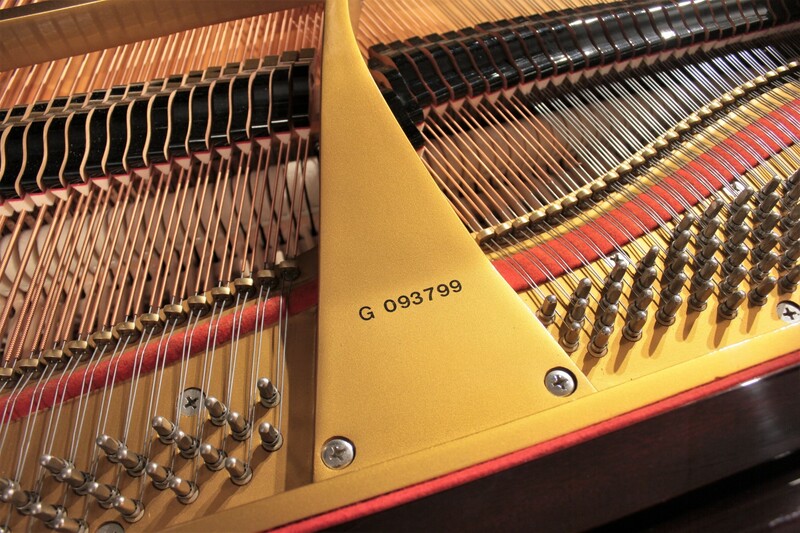 This piano features a factory-installed PianoDisc PDS128 player piano system. 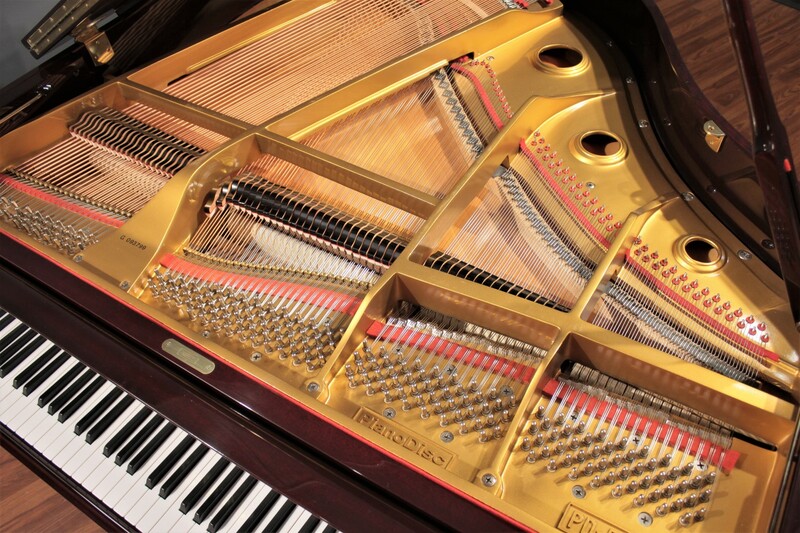 Amaze your friends and guests as they watch your piano play itself with real moving keys and instrumental accompaniment. 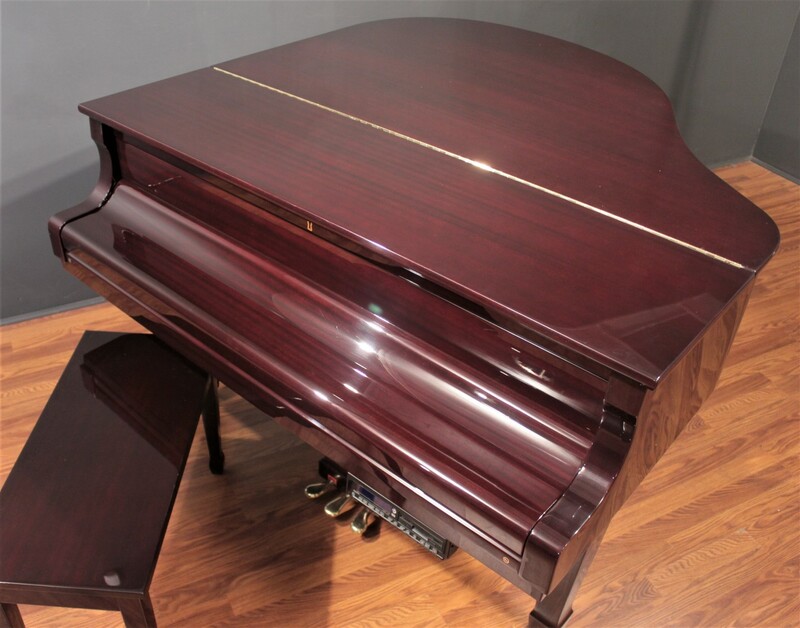 Upgrades are available (sold separately) to transform this piano into a wireless, invisible playback experience driven by your smartphone or tablet. Please contact us for pricing and availability.